Everyone can be a bit careless and stain their clothes with sauce, fat or other things. And you may think that the only solution to get rid of the stain is to cut it with a scissors. 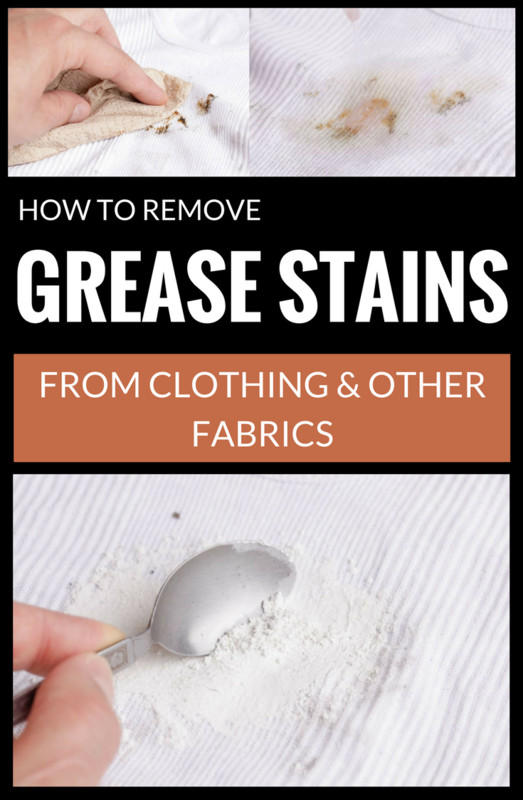 You know the famous phrase: “it just comes out with scissors!” Well, it shouldn’t be this way because you can actually get rid of those stains from clothes and other fabrics using some natural solutions. You’ve dropped some salad sauce on your blouse or jeans, and you ruined your overall look. When the stain is still fresh, wipe with a clean cloth soaked in the water with dishwashing detergent. It will easily remove fat stains. Then wash the stained clothing item with warm water, and then let it dry naturally. Repeat, if necessary, until the stain disappears. First, remove the excess fat. Sprinkle some baking soda, corn starch or salt. Let it act for 10-15 minutes, and then, with a clean cloth dipped in dish detergent, rub the stain well. Repeat the process until the stain disappear. Use the same method as for upholstery. If the stain persists, mix 1 tablespoon of liquid dishwashing detergent with a spoonful of white vinegar and 2 cups of warm water. Apply this solution over the stain, and then rub the stain until the liquid is absorbed. Wash with cold water and dry to remove detergent / vinegar solution. Remove the excess oil using a paper towel or cotton absorbent cloth. Rub the area with a cloth moistened in some dish detergent, and then rinse. If it doesn’t work, then try rubbing the stain with corn starch or baking soda. Let the powder stand for a few hours on the fabric, then remove it gently, and then apply a special leather conditioner.